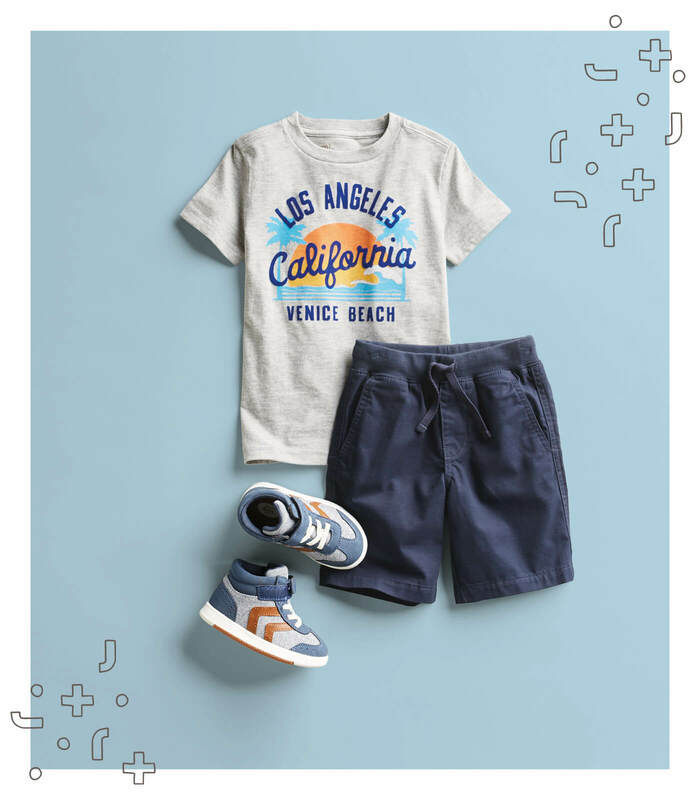 Stitch Fix Kids is happy to report that getting your little ones dressed and ready (and looking great!) for whatever their day brings is easier than ever with our line of mix-and-match separates for kids. The prints and graphics of our Rumi + Ryder brand is exclusive to Stitch Fix—and the leggings, dresses and tops can be worn together or as separates from season to season. We think you’ll find Rumi + Ryder pieces are a great way to add fun pops to an interchangeable wardrobe—with ease, convenience, value and style, all rolled into one! Read on to see Rumi + Ryder in action. School is something to look forward to when they get to wear cool stuff like this graphic hoodie. Complete the look with pull-on shorts and a pair of goes-with-anything sneakers, and they’ll definitely receive an A in style. 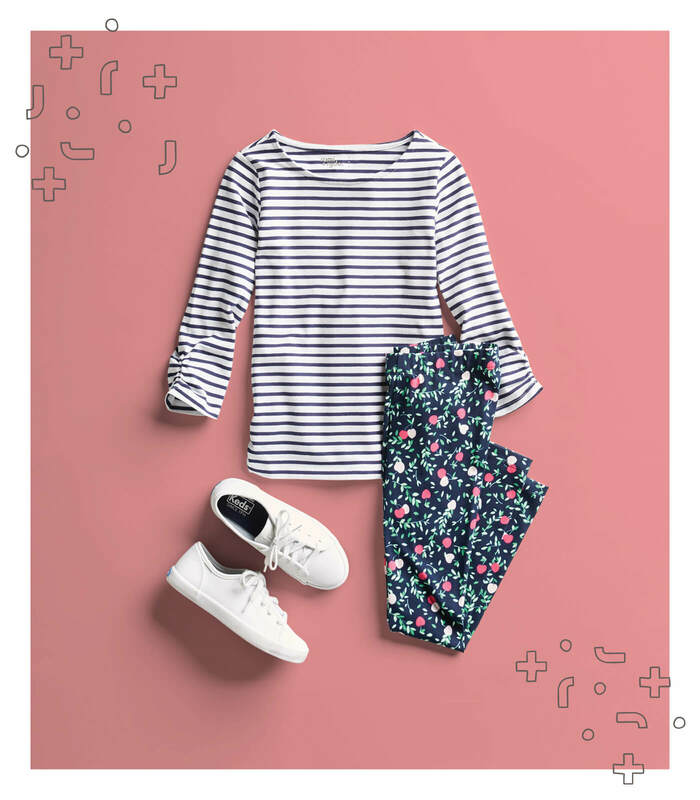 Mixing patterns is child’s play with Rumi + Ryder’s easy-to-coordinate pieces—one trick when mixing stripes and florals is to make sure both prints stay within the same color palette— and Rumi +Ryder makes this very easy to achieve. We love this work for school and weekends. For some kids, there is never enough pink—and we think cats in a band is the perfect excuse to go pink all over, from cool graphic tee all the way down to sneakers with brightly colored bottoms. Be sure and ask your child’s Stylist for graphic tees that show what they love. Spring break can’t come quickly enough, and packing a bag full of clothes that all go together is one way to make getting away a bit easier. A fun graphic tee is shown here with shorts, but would also work well for a casual dinner out when paired with chinos and a cardigan or blazer. Colorful sneakers that pair back to a few other pieces tie the look together. Ready to fill their closet with adorably coordinated pieces from Rumi + Ryder? Schedule a Fix and request Rumi + Ryder from their Stylist.